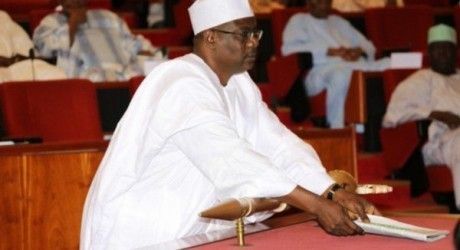 Is APC Okay To Attack The Appointment Of Modu-Sheriff As PDP Acting Chairman, While Ali Ndume Went From Boko Haram Sponsor To Senate Majority Leader? The appointment of Senator Modu-Sheriff, Former Governor of Borno State as Acting National Chairman of PDP, seems to have prompted up the otherwise moribund propaganda machinery of the Buhari led APC administration. I would personally suggest the APC keep quiet on the grounds that their Senate Majority Leader is a known Boko Haram sponsor who, if am not mistaking still has his trial pending in court, with overwhelming evidence of his communication with Boko Haram elements linking him to various killings of our military personnel. The DSS has already tendered several exhibits and called witnesses to prove their case. It was the President whose influence has stalled the prosecution.